Withdrawing from alcohol may be a common experience behind bars but it can never be taken lightly. Withdrawing patients need ongoing monitoring until they are through the risky period – at least the first three to five days. So, once you have screened for alcohol withdrawal and set a treatment plan in motion, you need to regularly check-in with withdrawing inmates to assess the progression of symptoms. Both the Federal Bureau of Prisons Clinical Practice Guideline for Detoxification of Chemically Dependent Inmates and the NCCHC Alcohol Detoxification Guideline recommend the use of the Clinical Institute Withdrawal Assessment of Alcohol Scale, Revised (CIWA-Ar) for ongoing symptom monitoring and management during alcohol withdrawal (A copy of the CIWA-Ar can be found in the FBOP Guidelines). Using risk categories can determine the level of attention given to withdrawing patients. For example, low risk patients may be evaluated every 8 hours while moderate and high risk patients may need hourly assessments and intervention until symptoms subside. The directions indicate that you can rate this category anywhere from 0-7 and provides low, middle, and high score examples. One nurse may determine that the patient is slightly more than moderately fidgety and restless; rating the patient as a 5. The next shift nurse may see the same restlessness as slightly under moderate and rate the patient a 4. In reality, the patient may be escalating in agitation and is really on the way to a 7. With a spread of scores in both the FBOP and NCCHC guidelines of less than 10 to over 15 encompassing risk ranges, a couple points difference in nurse evaluations can mean missing increased withdrawal symptoms or overmedicating receding symptoms. Orient every nurse specifically to the tool including the use of case presentations to be sure the directions can be correctly applied. Use actual withdrawal situations to determine inter-rater reliability of the use of the tool. Have more than one nurse independently score a withdrawing patient and then have them compare their findings. Consider only using the defined scores on the tool. For example, in the agitation category the only scores possible would be 0,1,4,7. This could eliminate some of the variability among raters. Consider instructing assessors to err on the side of higher scores as the greater risk is in not treating withdrawal and closer monitoring is a safer outcome. Successful alcohol withdrawal in the criminal justice system requires a thoughtful coordinated effort involving many team members. Ongoing monitoring of withdrawing patients is a major part of this effort. How are you monitoring your withdrawing patients? If you use the CIWA-Ar Tool, how do you confirm proper use? Share your thoughts in the comments section of this post. This entry was posted in Withdrawal and tagged Alcohol withdrawal, Catherine Knox, correctional nursing, Essentials of Correctional Nursing, Lorry Schoenly. Bookmark the permalink. 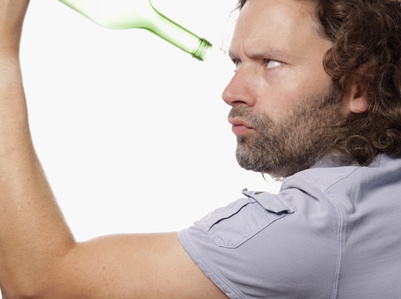 ← Alcohol Withdrawal: What’s the Plan?